China has been rather impressive on the property and infrastructure scene for the last 20-25 years; in fact, China's growth has been so phenomenal that they take perhaps half the time other countries in other regions take to achieve what they managed. Cities and districts sprawled out of nowhere in China - and today, most of its larger cities have populations exceeding 10 million people. Back in 1998, the Chinese government opened up their property market to the locals - allowing the locals to buy and own their own homes. This measure has sparked a massive and volcanic growth in the real estate sector, where new and old developers from all around the world invested and developed so many new projects to drive the sector up. In mid 2000s, the growth of the property market in China shot up even more - as the property sector in China hit all time highs on many fronts - including price per square foot, price-to-income ratio, price-to-rent ratio, and well... the total number of vacant units! While cities such as Shanghai saw a meteoric rise in real estate prices shooting up over 150%, most of China's housing prices tripled between the mid 2000s up towards 2009 - with an influx of overseas investments, particularly from Hong Kong, Malaysia, and some European countries. 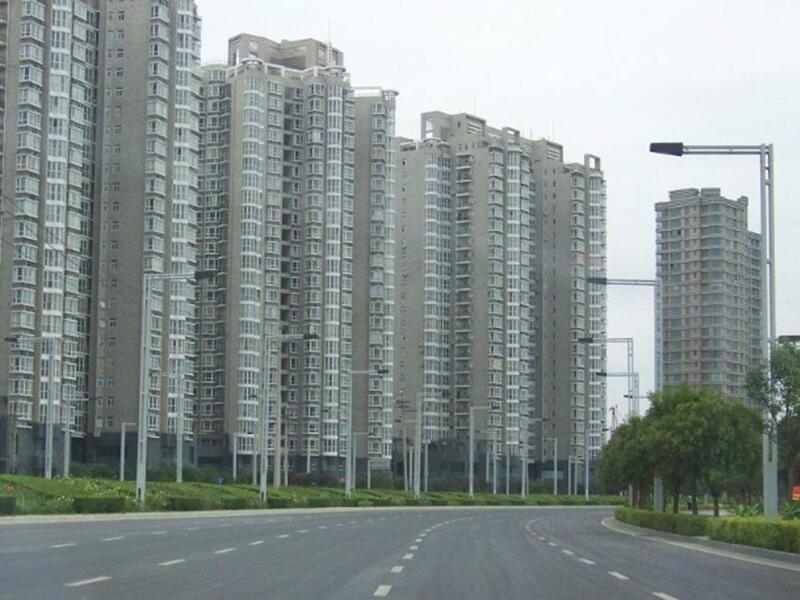 A deserted and vacant residential development in Zhengzhou, China. 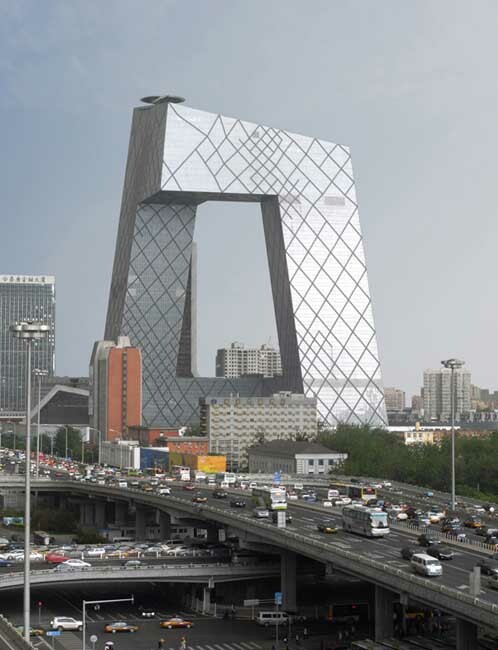 The Chinese government continued to introduce new initiatives to push the property sector - including lowering of their base lending rates to increase mortgages, more bridging facilities to construction projects and encouraging the local state governments to increase their income via land sales to the private sectors. In 2010, the Chinese government is slowly tightening measures again, to cool down the property sector. They imposed a Cabinet decision to enforce a 40% downpayment on families buying a second home, to make acquisitions more difficult. In 2011, they then introduced to property tax to curb the 'runaway' housing prices, and further increased the minimum downpayment to about 60% on second homes. More recently, they have decided to expand its property tax reforms in an effort to further cool spiraling rising housing prices. Nevertheless, despite all these government measures as well as local state/council legislations such as Beijing banning home sales to those who have stayed in there for less than 5 years, two-home and single-home limits for native and non-native families - prices only begin to fall significantly in early this year. And that fall, well has only been for a very short while. Market forces have started to push it back up, and according to a Wall Street Journal (refer graph) survey, the average property prices in 70 Chinese cities rose for a third straight month in August - indicating a quick and continued turnaround in the property sector - and a sign of a much more stable property price benchmark going ahead. While Malaysia and Kuala Lumpur are not really seeing any bubble, many other countries are experiencing a major or minor property bubble due to escalating prices - KL has always been amongst the cheapest in this region. The property and real estate sector has always been a volatile and unstable sector - but China - being the world's 2nd largest economy - looks like it will take more than just tightening measures and property taxes to cool down the market. 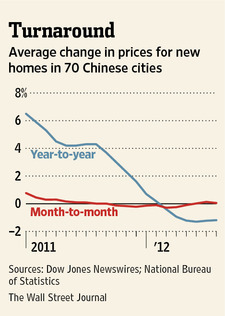 So... what CHINA property BUBBLE?